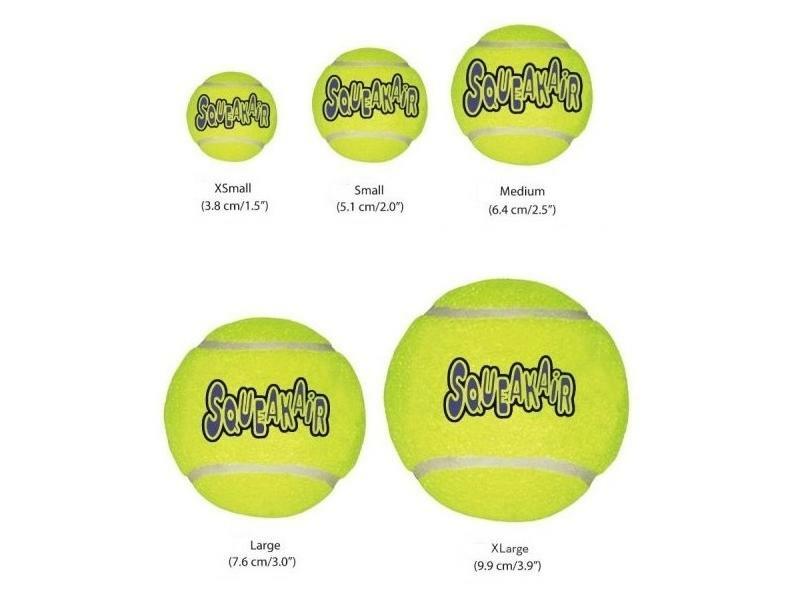 The Kong Squeakair Ball is a must have toy and is now available in a large size, perfect for medium to large size dogs. 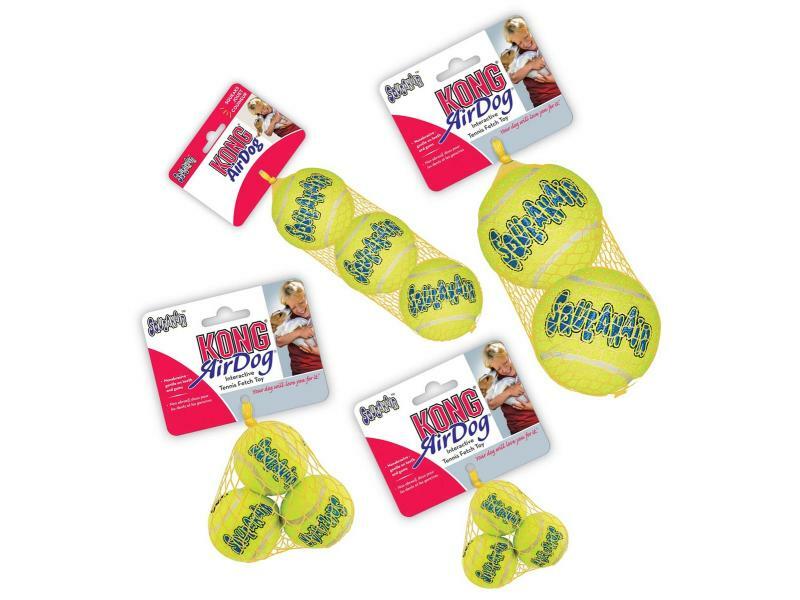 These durable, high-quality squeaker toys are covered with a non-abrasive outer coating which is kinder to teeth than traditional types of tennis ball. 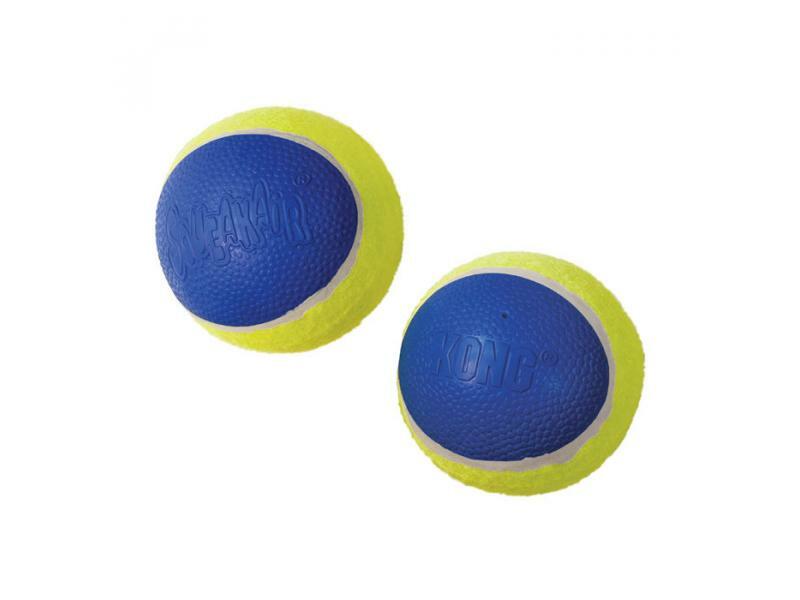 They are perfect for fetch games and float on water for those who like to get wet. There are currently no questions for Kong AirDog Squeakair Ball Dog Toy - be the first to ask one!